Many woman or girls in India are confused about the correct bra size or bra cup size they should wear as per their body shape. While buying many women purchases wrong size bra. Wearing the wrong bra size can ruin your outfit. Bra size always varies according to women’s health, whether she loses weight or gains weight or is pregnant. Therefore every women should measure their body shapes along the bust to calculate the right bra size suitable for their body. Correct Bra size and bra cup size can be easily calculated and found using a measuring tape at home. To measure bra size first thing you need to know is your band size and your bust size. The band size and bust size is as indicated in picture below. Band size will give you the right bra size and difference of bust size and band size will give you the right Cup size. Also use Online bra size calculator below. Measure the band size by bringing the measuring tape around your ribcage under the bust evenly around your back to the front and note the measured value in inches or centimeter. Now refer Table 1 for finding the right bra size as per your country of residence Or use online bra size calculator below. For example if the band measurement is 34 inches or 86 cm and you are from US/UK then you should buy 38 size bra. Wrap the measuring tape around the fullest part of your bust, from back to the front. 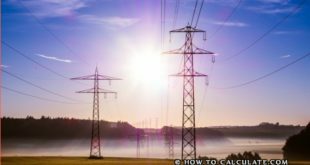 Hold the tape loosely not tight and note the measured value in inches or centimeter. 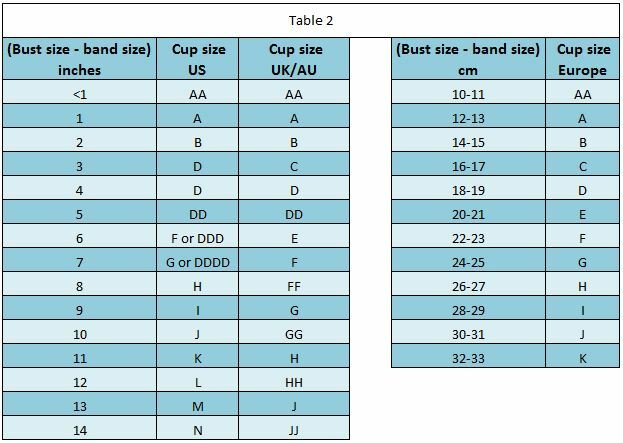 Now subtract the band measurement from the bust measurement and refer Table 2 for finding the right cup size as per your country of residence. Or use online bra cup size calculator below. 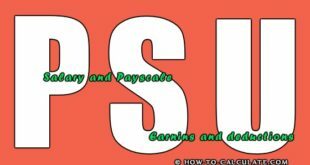 first column of the table show bust size minus band size in less then (inches) value. For example if the band measurement is 34 inches and bust measurement is 36 inches the difference is 2 which represent the B cup.